For a short time this week, Nigeria—one of the world’s most populous countries and Africa’s biggest economy—was leaderless. 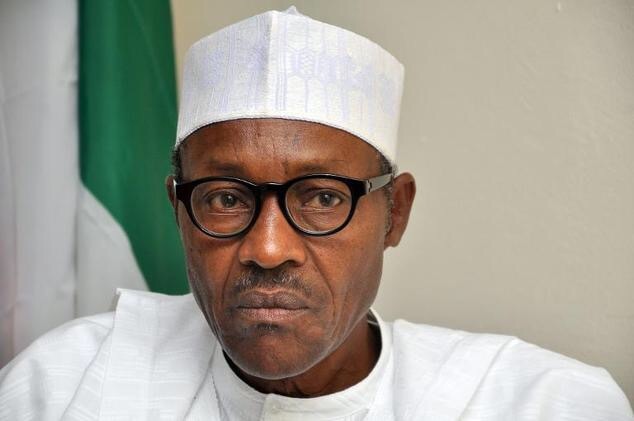 The current president, Muhammadu Buhari, has been off grid for more than two months since stealing away to London on May 7 to receive treatment for a mystery ailment. He has not been seen publicly (and has been heard from only once) since then. In his absence, Buhari’s deputy, Yemi Osinbajo, has taken over the running of the country. But on Tuesday, Osinbajo too departed Nigeria for London, where he met with Buhari for the first time since the latter’s departure in May. Why did he decide to make the trip now? Upon his return on Wednesday, Osinbajo said he had gone to London simply to “check up” on Buhari and to “brief him on developments” in the West African country, which is in an economic recession and dealing with several security threats, including Boko Haram militants in the northeast. Ever since he departed for the U.K. in January for his first medical trip of 2017, Buhari’s health has been a matter of national speculation in Nigeria. Observers have compared his case to that of Umaru Yar’Adua, Nigeria’s president from 2007 to 2010. Yar’Adua disappeared to Saudi Arabia in 2009 for medical treatment, failing to return for three months and leaving political chaos in Nigeria. He died within three months of returning to the country. The Nigerian government has kept silent on the specifics of Buhari’s ailment; the president himself, when he returned from his first trip in March, indicated he had received a blood transfusion, but little else is known of his condition. This has fueled rumors among political opponents, who have suggested that Buhari may be critically ill or even dead. An opposition governor in southern Nigeria, Ayodele Fayose, has led calls for Buhari to resign, saying he is incapacitated and unable to govern. Buhari after sick leaveNigerian President Muhammadu Buhari addresses members of his cabinet upon his return from medical leave at the presidency in Abuja, Nigeria, on March 10. Buhari left Nigeria again on May 7 and hasn’t appeared publicly since. Osinbajo’s visit may have been timed to counter such rumors, says Cheta Nwanze, head of Nigerian consultancy SBM Intelligence. But Nwanze says that if the president is not back soon, Nigerians’ patience may run out. “If Buhari isn’t back by the end of the month, we will go right back to the speculation,” he says. The vice president’s performance in Buhari’s absence has impressed many in Nigeria. The hands-on approach adopted by Osinbajo—who has visited conflict zones in both the oil-rich Niger Delta and the Boko Haram-hit northeast—contrasts with that of Buhari, who has gained the nickname “Baba Go Slow” due to his ponderous style. 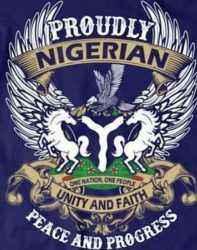 Nigeria is a country with stark ethnic and religious divisions. It is split almost equally between a mostly Muslim north and a largely Christian south. More than 200 ethnic groups live in Nigeria: Buhari belongs to the Hausa-Fulani, the dominant ethnicity in the north, while Osinbajo is a Yoruba, the major group in the southwest. Osinbajo has managed to gain a level of popularity across the whole of Nigeria. The latest monthly survey by West African organization NOI Polls found that 67 percent of Nigerians either strongly approve or approve of Osinbajo’s performance in June. His lowest rating was in the southeast, where 44 percent of respondents supported his work and 20 percent disapproved, with the rest undecided. By contrast, in April—the last full month of Buhari governance—just 49 percent of Nigerians approved of the president. In the southeast, 66 percent either strongly disapproved or disapproved of Buhari, with just 20 percent in favor. Mark Amaza, an independent political analyst in Nigeria, says Osinbajo has “performed excellently” in Buhari’s absence. “He has brought a new kind of energy to government activities and engages well with Nigerians on issues,” says Amaza. But any suggestion that Osinbajo visited Buhari to prepare for succession must be tempered by recognition of the country’s fragile ethnic dynamics, Amaza says. In Nigeria, tradition dictates that the presidency should rotate between a northerner (like Buhari) and a southerner (like Osinbajo) every eight years, or two four-year terms. Buhari’s predecessor, Goodluck Jonathan, was a southerner who took over in 2010 and ruled until 2015. Were Osinbajo to take the reins from Buhari just two years into the latter’s presidency, northerners may feel aggrieved. Whatever the reason for Osinbajo’s visit, it has left Nigerians curious and, in some cases, suspicious. And should Buhari remain hidden, those feelings seem likely to grow.